This super simple, savory breakfast is going to hit the spot, remember this breakfast was made for a 6' 3" and 200 lb man (haha). I advise to always take precaution to anyone that needs more or less. This is a basic recipe and you may adjust anything to your needs. 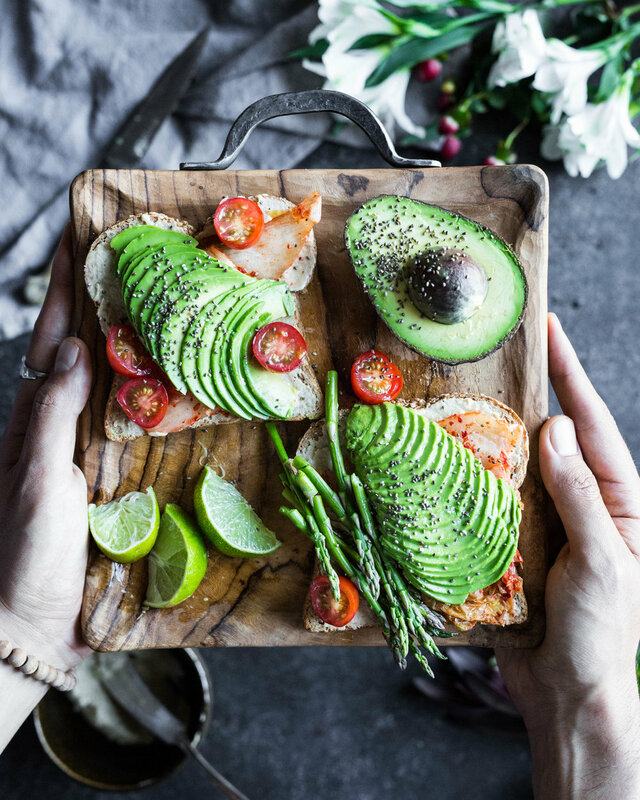 1) Toast your bread, spread the hummus, add your kimchi, top that with avocado, cherry tomatoes and asparagus. 2) At the end just add your lime juice, chia seeds, and salt/pepper. Enjoy.